Martha Berry thanks Miss Bayer for her gift and tells of her travels in the mountain country that summer where she found some of the best human material in the world. 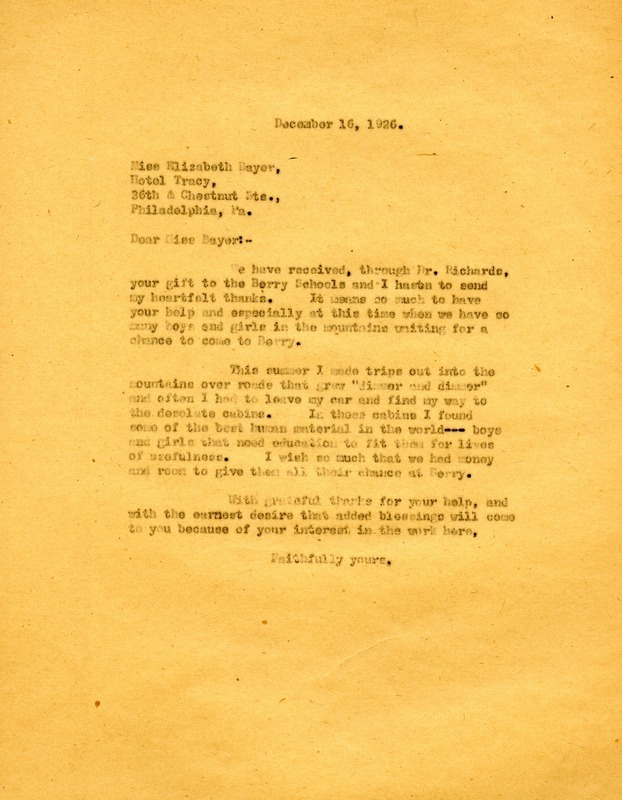 Martha Berry, “Letter to Elizabeth Bayer from Martha Berry.” Martha Berry Digital Archive. Eds. Schlitz, Stephanie A., Sherre Harrington, Chelsea Risley, Alan Henderson, et al. Mount Berry: Berry College, 2012. accessed April 23, 2019, https://mbda.berry.edu/items/show/3809.